Anthony is a member of the firm’s Pension and Employee Benefits Department and the Tax Group. 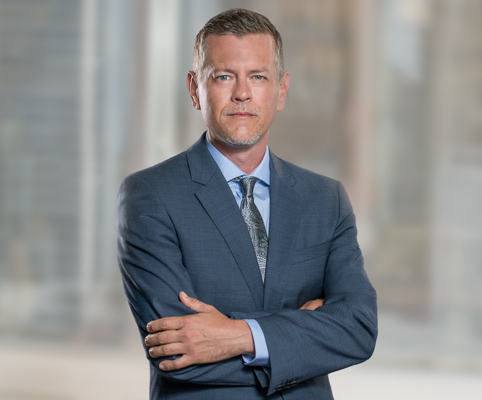 He has extensive experience advising pension and employee benefit plan sponsors, administrators and trade unions on matters related to statutory compliance, human rights, privacy, income and sales tax. He has also represented clients before various levels of court and administrative tribunals in disputes involving pension surplus, human rights claims and insolvency. Anthony completed his articles with Koskie Minsky and joined the firm as an associate in 2007. From 2013 to 2015, Anthony worked for the Pension Policy Branch of the Ontario Ministry of Finance, where he advised the government on pension policy matters, notably related to distressed pension plans, and assisted in the development of various regulations under the Pension Benefits Act, including regulations required to implement statutory reforms introduced under Bills 236 (Pension Benefits Amendment Act, 2010) and 120 (Securing Pension Benefits Now and for the Future Act, 2010). From 2015 to 2017, Anthony worked for an actuarial consulting firm, where he advised pension plan sponsors and administrators on statutory compliance, tax and governance matters. He rejoined the firm in 2017. Anthony is also an adjunct professor at the University of Western Ontario, Faculty of Law.